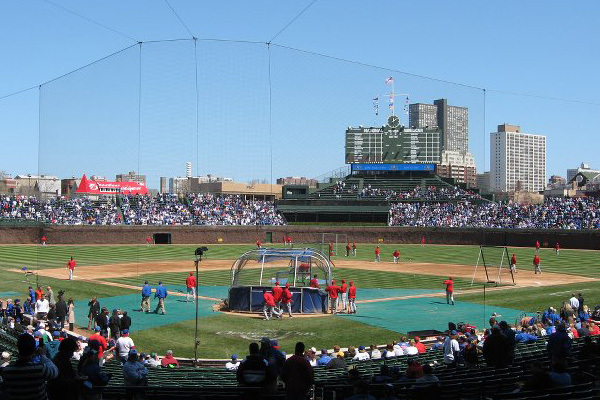 Cubs Luxury Box Suites are available for entertaining and celebrating at legendary Wrigley Field. Cubs Box Suites seat up to 18 people. Catering is available for lunch or dinner. There is only one level of luxury suites at Wrigley Field. These suites are basic by most of today’s ballpark standards but because there are so few of them in the ballpark, they are the most difficult to obtain in the entire league. Where are the suites located? The Mezzanine Suites are situated between the 200 and 400 Level decks. They offer both outdoor seating and indoor accommodations, including plasma TV screens and VIP parking passes. The view of the field is incredible from a suite. Slider windows open up on warm days and can be closed to keep out the cold days when the wind is blowing in. Call 1-888-654-7755 ext. 101 for more information.